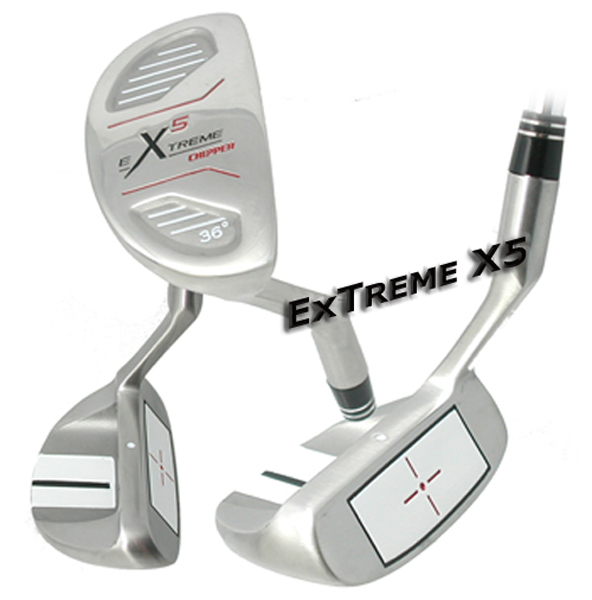 Extreme X5 Chipper uses the same alignment technology found in today's mallet style putters. The Extreme X5 is designed to provide a user friendly option that plays perfectly for those tricky shots around the greens. The alignment system used by the Extreme X5 significantly increases accuracy, while the soft insert and hybrid-inspired sole design helps to get the ball out of trouble and rolling right to the hole. Thanks to the Extreme X5, chipping just got a lot easier.